Expanding functionality! Promoting Instagram profiles became easier! 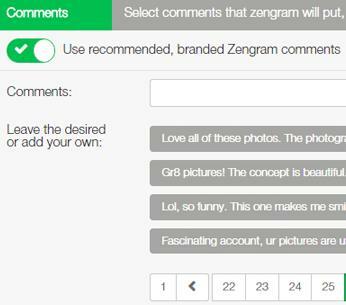 Now Zen-Promo users have an opportunity to respond comments that left by other users without leaving the service. It is enough to go to the “Comment” tab and select required publication. There is no problem with followers of proper city. Why need to think about interesting comments, if they are already invented? Gaining users of the followers of competitors.